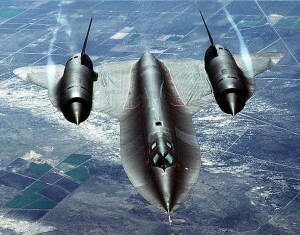 My favorite plane is the Lockheed SR-71…the fastest air-breathing plane ever developed. It could travel above Mach 3+ (2,200+ MPH), and at an altitude of 80,000 feet. During high school and early college, I lived near Plant 42 (in Palmdale, California), where Lockheed had a maintenance facility for the SR-71. Seeing the SR-71 in flight was a common occurrence, and one I will never forget. Sometimes I would sit near the end of the runway, and watch/listen to it thunder overhead while it did touch & goes. Life did not get any better than that. The SR-71 was fully retired in 1998. Now there is news of a new “spy” plane which is in development by Lockheed Martin and Areojet Rocketdyne…the SR-72. Take a look at an article published by Popular Science in their June 2015 issue…in it they report on the SR-72 and related details, which may or may not be accurate. But who cares at this time…I just can’t wait to see it!! This entry was posted in Aviation, Geek Stuff on May 19, 2015 by sr71rocks. Good stuff the military has. Almost wish you could just buy one for personal use. Nice SynOptics change on your page too. Brings back memories.